A huge band with a confused history, 'Eden' drew on a wide range of musics in their complex progressive style, lots of folk references, adapted classical melodies, etc. Aptly, in tune with their name, 'Eden' were also very much a religious group, as virtually all of their songs use texts taken from the Bible, and amount to Teutonic rock-opera's in a sense. 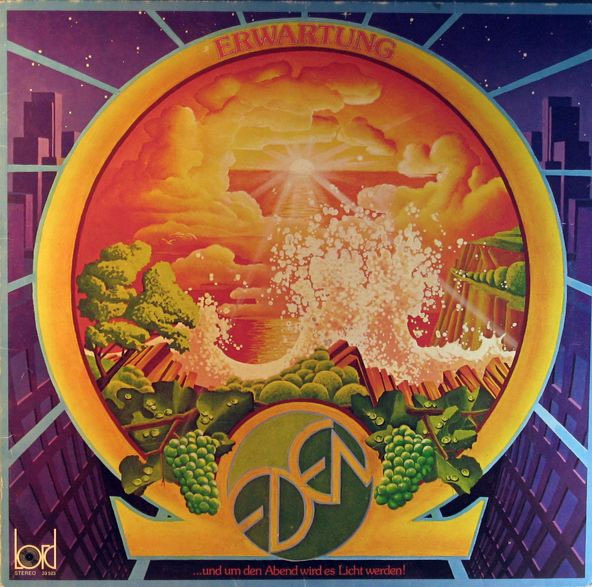 At their best (as on 'Erwartung') 'Eden' come across as a blend of early 'Renaissance', 'Novalis' and 'Hoelderlin', together with some neo-progressive touches and all sorts of other prog, folk and symphonic touches! The multi-instrumental nature of their music made for a rich palette of sound, and a wide variety of instrumental elements contrasting with the esoteric German vocal elements. 'Eden' are interconnected with various other bands on the Lord and Pila labels.